There’s nothing like seeing your child’s face light up from the joy of “being in the saddle”. In fact our passion for horse riding started at an early age for us too! This program is designed to suit any level of rider and will be catered to each individuals experience from complete beginners to advanced riders. 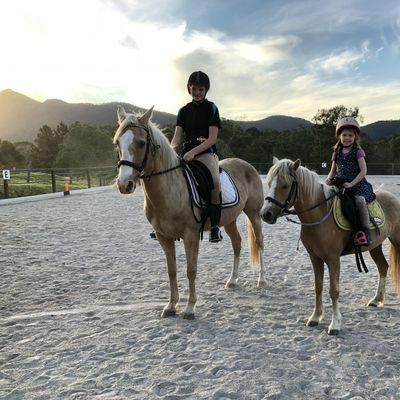 Riders will receive a 30min riding lesson in our lovely enclosed arena, followed by a 15min trail ride around our property with stunning scenery. The 45min experiences will run on the hour and will cater for a max of 2 riders per session. Please keep in mind we have weight restrictions in place of 75kg max.